It’s true: 40 percent of food in the US gets wasted somewhere between the farm and the table. Food waste happens in the field when crops are left unharvested because they don’t meet grocery stores’ cosmetic standards of perfection. It happens in distribution when food isn’t transported or stored properly and is left to spoil. It happens in retail when food sits on the shelf for too long. And it happens at home, when we buy more than we can eat, or we’re confused by label dates and discard perfectly edible food. According to Natural Resources Defense Council scientist Dana Gunders, Americans throw away about $30 worth of uneaten food per person per month. Her Waste-Free Kitchen Handbook: A Guide to Eating Well and Saving Money by Wasting Less Food empowers eaters to be food-waste warriors through practical tips, recipes, and meal planning strategies. In the following excerpt, Gunders demystifies browning, bruising, and other defects, so that you can differentiate what’s safe to eat from what’s harmful, and save precious produce from the compost bin. Want to learn more about the epidemic of food waste and what you can do to help? Join us next Thursday, May 12, at our Kicking Food Waste to the Curb panel discussion, featuring Gunders and other food-waste experts. What Happens When Food Ages? Wilting and softening are to veggies what wrinkles are to us—a normal sign of aging that isn’t necessarily harmful. Understanding what’s happening can help you evaluate whether or not the food is still usable and safe to eat. Warning: This may bring you back to your sixth-grade science project (in fact, if you hap­pen to have a sixth-grader in the house, there are all sorts of great science projects based on what’s discussed in this section). From the moment it’s harvested, extracted, or slaughtered, food begins a journey of decomposition. Natural enzymes in plants are still active after harvest and cause the color, flavor, and texture to change. Some products, such as corn and peas, will lose their sweetness. Broc­coli will instead begin to toughen, and lettuce will lose water and become limp. Fruit may continue to ripen and get sweeter after harvest but will eventually begin to rot. Different types of food age in their own ways. Fruit and vegetables are attacked by microbes. Bread typically dries out, though if moist it can harbor molds. Meat and seafood are mainly degraded by bacteria on their surfaces. Dairy products are unusual in that the bacteria that work in them can sometimes actually act to preserve rather than degrade them, though this may result in a change in flavor or texture. In all of these cases, the activity of the enzymes and microbes is increased by warmer temperatures and access to oxygen—hence the general smart storage practices of placing foods in sealed packaging and refrigerating them. Let’s take a look at what is actually happening when we see common indications of aging, and whether they actually mean food has gone bad. Browning on apples, bananas, and potatoes. The outer skin of these foods acts to protect the inside. When exposed to air, the inside “oxidizes” and turns brown. There’s no harm in eating these foods if they are browned. Refrigeration and acidic solutions such as lemon juice can slow the browning a bit. Bruising. Bruising is just what it sounds like—the result of a fruit or vegetable being bumped or squashed during its journey from the farm. These run-ins break down the cell structure, which leads to softening and brown coloring. Light bruising itself does not render foods inedible. However, bruised portions should be removed as they create openings for microbes. Curdled or sour milk. As long as it’s pasteurized (which almost all milk is), sour milk is not likely to make you ill (though the flavor may be off enough that you won’t want to drink it). The smell test is a perfectly legitimate way to evaluate milk. As milk ages, it becomes more acidic, which creates an environment that is unfriendly to microbes that might cause illness. That acidity is also what causes milk to curdle—the same process that’s done intentionally when making yogurt or sour cream. What this means is that you can still use milk that doesn’t pass your sniff test in other ways, either to make your own homemade cheese or cream products or in baked goods. Mold on dairy products, however, is something to be more careful of, as discussed in the next section. Important note: Unpasteurized milk is a different story, as it has not gone through the pasteurization process that kills many of the microbes. Food safety guidelines strongly recommend avoiding raw milk products due to their high potential to cause both food-borne illness and other disease. Any­one consuming these products should read up on the risks before hand. Discoloring of lettuce leaves. Color changes or spots on lettuce do not indicate disease. Leaves might turn brown at the ends, a condition called “tip burn” related to a nutrient deficiency when the plant was grown. Brown spots and brown stains can result from exposure to too much oxygen or carbon dioxide. And let­tuce can turn pink in the middle rib if exposed to higher temperatures. Lettuce with any of these imperfections can still be eaten safely, though you may want to remove the discolored parts for aesthetic reasons. Fading or darkening of meat. The color pigments in meat naturally change color when exposed to either air or light. They usually go from purple-red in color to cherry red to a more brownish red. With ground meats, this might mean the meat on the outside of the package is bright red while the interior is still a purplish or grayish brown. This color change is normal and does not mean the product is spoiled. If accompanied by off-smells or slimy or sticky surfaces, however, don’t eat the meat. Rotting. Vegetables tend to suffer from “soft rot,” which is the result of bacteria attacking their tissue. While rotted vegetables are not something you’ll want to eat, the bacteria involved are not the same ones as those that lead to food poisoning. Rotted portions should be removed, and parts that are not affected can still be eaten. Fruits, however, tend to be attacked more by yeasts and mold, which can be more toxic (see the next section, “Better to Steer Clear”). Scarring. Scars are the result of a fruit’s or vegetable’s growth. For instance, if peaches are touching a limb when they grow, a scar will form there. Scars do not affect the edibility of produce, though scratches that happen later in a food’s life can open it to invasion by microbes. Staleness. Baked goods, chips, and crackers can become stale, which simply means the starches in the prod­uct are altering form and transferring moisture. It does not indicate a safety risk and fortunately can often be remedied by briefly toasting the item in the oven (even for crackers and chips). Wilting (for example, greens and broccoli) and wrinkling (for example, peppers and tomatoes). These are both signs that produce has lost some of its moisture and therefore can’t maintain its structure. Neither is an indication that the food will make you sick, and in fact they can often be reversed by a 5- to 10-minute ice water bath or by cooking. Greening of potatoes. Green parts of potatoes, as well as sprouts and eyes, can contain natural toxins that are not destroyed by cooking. If a potato has turned a slight green color, it’s probably best to discard it. The same goes for potatoes that taste bitter. Mold. Mold is one of the things you want to watch out for. Although some kinds can be quite delightful, such as the mold that makes blue cheese blue, other types of molds produce toxins that can lead to foodborne illness, and that can’t be “killed” through cooking. At times, the mold filaments, or roots, can reach 1 in/2.5 cm into a food, even if not visible. Though it’s rare for a mold to be extremely toxic, it is advisable to discard foods that are overgrown with mold, or at least to cut off the moldy parts with a ½- to 1-in/12-mm to 2.5-cm margin. Rancidity (oils/nuts). Perhaps you’ve used an old olive oil or eaten a nut that tasted completely and utterly disgusting. That item had likely become rancid. When fatty or oil-containing foods decompose, the result is often unpleasant odors or flavors. Light, air, moisture, and out­side bacteria can hasten this process. Unsaturated fats are more prone to rancidity, which means that fish, poultry, and game birds will become rancid before meats that are higher in saturated fats, such as beef. Nuts, especially walnuts, pecans, cashews, and peanuts, are also high in unsatu­rated fats and therefore particularly susceptible. It’s best to store any of these products at cool temperatures and in opaque and airtight containers or wrapping. Though they will rarely make you sick, rancid foods are something you’re just plain not going to want to eat because of their bitter taste or off-smell. 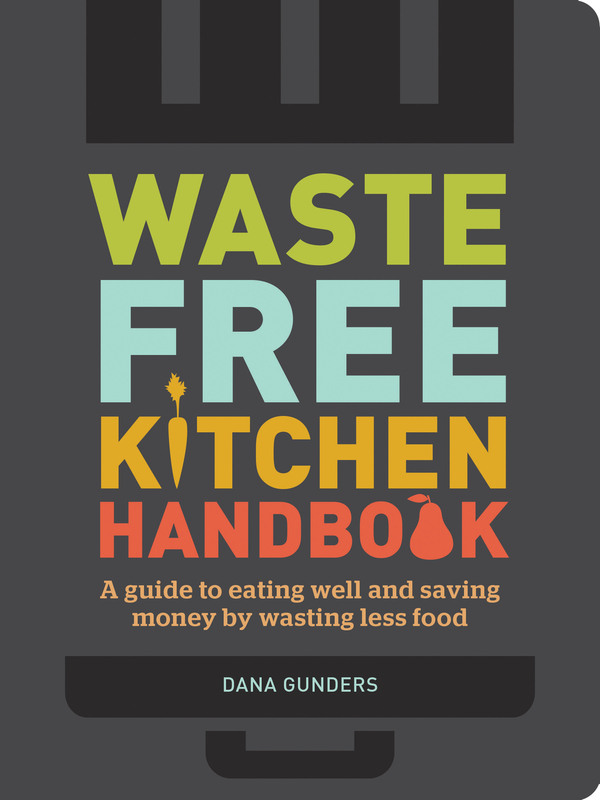 Excerpted from Waste-Free Kitchen Handbook by Dana Gunders (Chronicle Books, 2015).